Submerge an uncooked egg in vinegar. Wait a few days to a week. 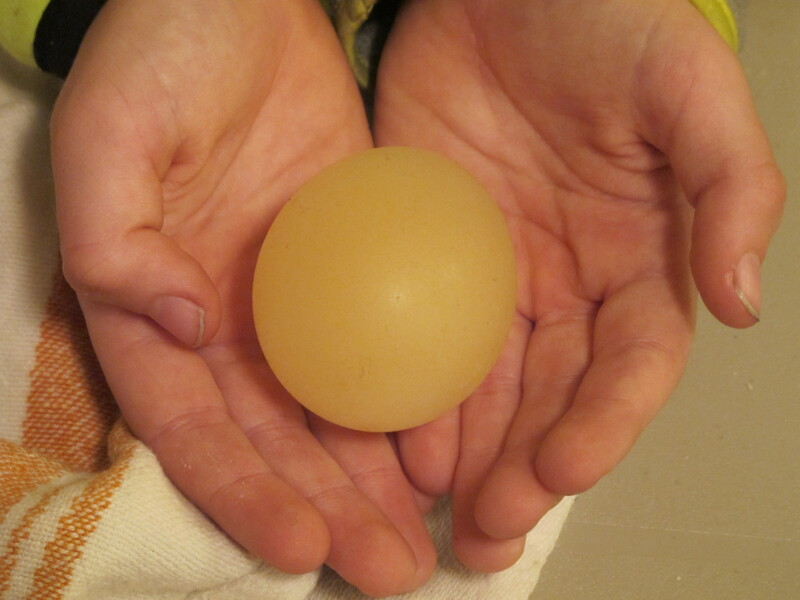 The hard shell reacts away completely, leaving the egg surrounded just by the outer membrane. The egg is soft, but still intact.